Khadi is a hand-spun, hand-woven fabric. The colored Khadi Kurtas are made using one color for the vertical weave, and 1 for the horizontal weave. This is partly what gives them the attractive textured look. 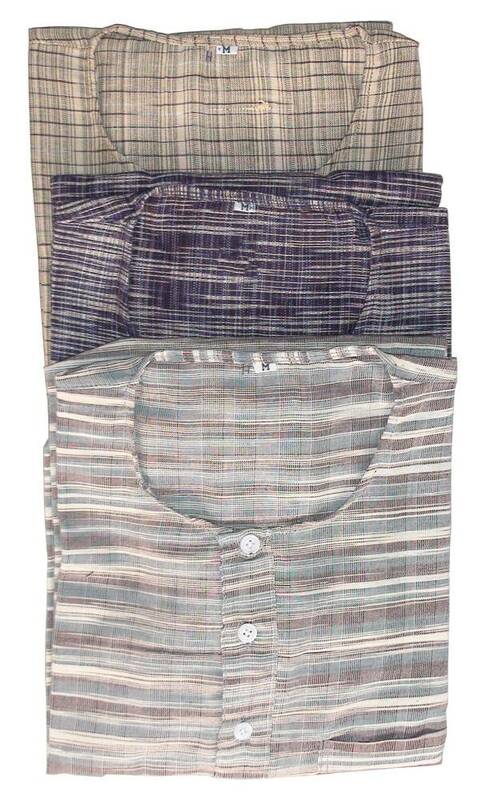 Cotton Khadi Kurtas are available with short or long sleeves, in many different, mainly natural, earthy colors. The patterns can vary from kurta to kurta and differ from the pictured pattern.